As a fellow indoor grower, I’m sure you’ll agree with me there’s some kind of a satisfaction when choosing the most efficient and best grow lights out there. Perhaps you’ve heard the fuss about the best cob LED grow light, and now you too want to start growing indoors. Somehow, we feel like those past and most commonly purchased grow lights are old-school and are not giving results that much. Yes, they are perhaps not sufficient enough particularly for those who are trying to get an incredibly amount of yields and believe that only the most recent and latest technology would be able to suffice their highest expectations. But, my friend, you must fret not because from this moment onwards, I swear that your dilemma will be solved. Look no further because I’ve got a treat for you. I’ll show you on why the Chip-on-Board Technology is superior among all the grow lights out there and how they provide essential development for indoor growing. Those are just some previews of how great COB LED grow lights are. What Really is This COB LED Grow Light? Does this latest advancement justify the cost? Well, all we know is that COB stands for Chip-On-Board. It is an LED packaging latest advancement that shows mounting of multiple Light Emitting Diode Chips directly into a surface of a particular material in order for these chips to form a single module. In other words, a miniscule wired, that is packed altogether into a piece of ceramic or copper board so that they exist as a sole light source. 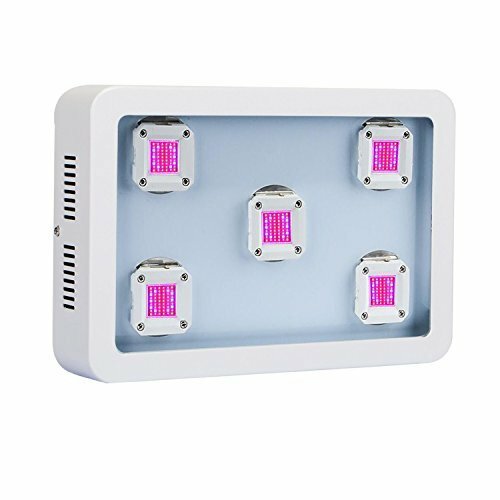 When a COB LED grow light is energized, it would appear more like of a lighting “panel” than multiple single lights just like on the other case of particular LED grow lights. For instance an SMD LEDs mounted altogether. Yup, it’s most probably true. While there are still various applications on utilizing HID bulbs, the benefits of using COB grow lights just outweighs its disadvantages. But obviously, the question will always still occur. As we all know, all these things that are new in the market will literally get your wallet close to zero. But since COB grow lights are proven just beforehand, what it gives you is nothing but advantages particularly in the long term use. Here are some of those advantages that COB grow lights offer compared to those grow lights that precedes before our very own COB LEDs. Quite a lot if I must say. COB grow lights have given us the highest usable lifespan that a grow light can offer due to its very modern technology structure and design. Even if the first capital is obviously higher, what we really want to know is that a quality LED fixture will certainly last for about 30,000 hours. In other words, it will pay itself off in the long run, implying that its quality is just superb. In addition, one of the primary reasons that COB grow lights have made their way so fast in the market is that their HIGH Color Rendering index is normally over 80 and it possesses broad spectrum. If you want to know, CRI tells how the color of a light source alters how an object appears to an individual’s eyes and how well fine variations in color are illustrated. Meaning, the higher the CRI, the more realistic will things look. We might also want to know that up until now LED grow lights were the most picked for those individuals who are in need of low power. As of right now COB LEDs are more efficient at generating photons than any grow light technology. In other words, at the same power consumption, COB grow lights will always outweigh other grow light technologies at giving us high quality light for our canopy. For the matter of light distribution, certainly HID grow lights and COBs are both single-focused light sources. But because COB grow lights are relatively easy to utilize and position, we could say that we have an extremely different instance here. Rather than using one single light root, COBs can be spaced for an ideal uniformity to preclude any hotspots or low intensity areas in your grow area. With that said please take a look at the table below on where I’ve tried to compare my previous experiences on various lights that I’ve used in the past. But before that, please take note that I got all these data by getting the average performance of the said type of grow lights since obviously it would take a book to write specific information of every certain kind of grow light, that’s why I’ve made this comparison based only on the “average” stuff of a particular grow light. As you can see, without any kind of biases or business matters, in total my favor goes to COB LED grow lights. Because that’s what my experience on using this grow light tells me. I’m telling genuine facts here. Well, you can purchase one on your own to see whether I’m telling the truth or not. But before introducing you to my Top 10 COB LED grow lights, I might want to clarify the misunderstanding here. I’m certain that you’ve now noticed that I am suffixing COB grow lights with LED (i.e. COB “LED” grow light). For all you know, there are no actual definite discrepancies between the two because “COBs” are merely a product of LED grow lights. 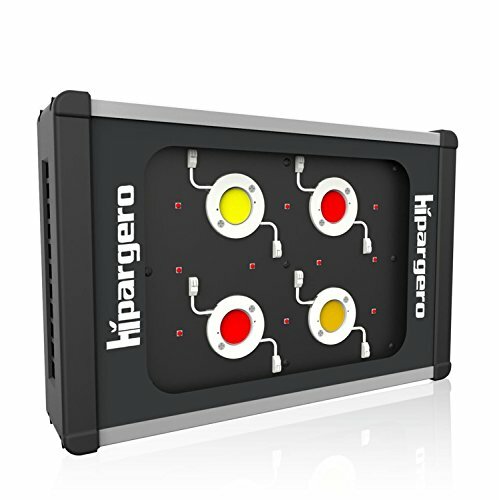 Meaning, they are one of the latest technology that the LED grow light products offer. So the next time you encounter stuff such as comparison between the two in the internet, don’t be confused. Let’s put it this way; COBs are the children of LED grow lights. Yep that’s a more fun way and interesting analogy to get rid of your confusion. Now, let’s go on to my TOP 7 list of my all-time favorite COB LED grow lights if ever you are thinking of getting yourself one. Well, I highly suggest you to get one for the better and optimal yields. And take note, the following COB grow lights are the best COB LED 2019, so what are you waiting for? This product gives a boost to each of your plants growth and certainly increases their yields by up to 40%! It also comes with two separate dimmers; one for vegetation and the other for flowering. They are very quiet during operation because of its well-made fan. In addition, this COB LED grow light is specifically designed with special focus on energy efficiency. Meaning, it will save you tons of bucks on your electric bills. As the number one on the list, I want to imply that this product is one of the best COB grow light 2019. I just love this COB LED grow light. Highly recommended and worth the top place. If you are looking for a very effective boost for your indoor plants, then go get your hand on this. 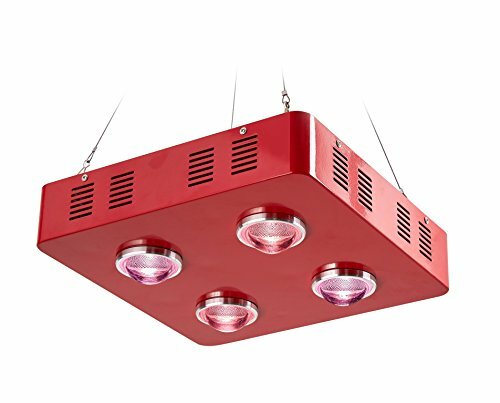 This COB LED grow light is very silent, and that’s thanks to the built-in 4-piece fan that aids ventilation of the hot air. The casing is made of aluminum which acts as a heat sink, minimizing the total temperature. In addition this product saves lots of your bucks on bills since it only consumes around 200 watts! And lastly, this one is a full-spectrum COB LED grow light that is very effective for an optimal growth of your plant. Seeking for a very affordable COB LED grow light for your lovely plants? Look no further and get this one! This product is very ideal for all of the plant’s growth since it provides a genuine full spectrum of around 420nm to 700nm of light. In addition, they’ve added 10 more components of 5 watt 65nm CREE LEDS for the fruiting phase of your plants so that you’d get the best yield during flowering and fruiting stage. This product will certainly last long due to the 5 Watt CREE XTE chips that are within this product. Overall it’s a very fine product. Very easy to install, what you only need is a power supply and you have now a very simple button of on and off. This product is excellent if you are looking for an easy set-up which is hassle-free and generates great yields. 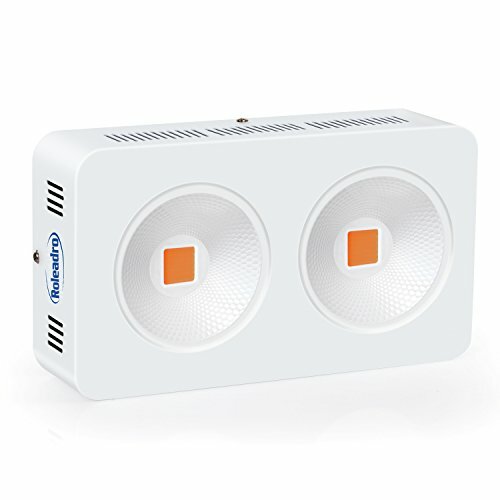 This product has a power of 400W. Just by using these lights you could increase your yields by up to 30%. In addition, this product features super bright pink CREE LEDs joined altogether on a single board. 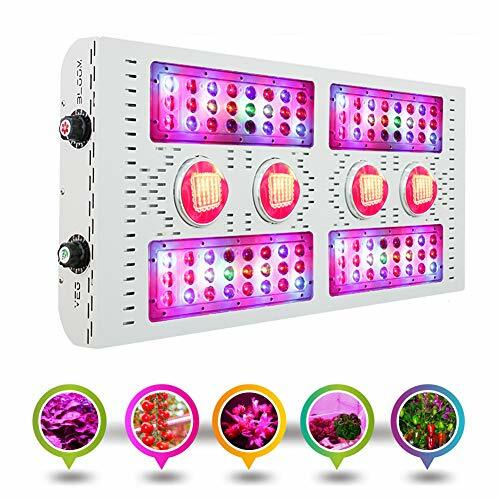 It also gives Ultra Violet rays and Infrared band that simply increases the rate of photosynthesis of your plants to make them grow healthier and more vibrant. Seeking different kinds of light intensity for your lovely plants for optimal growth? Upon using this product, I’ve witness 20% increase in the quality and quantity of my cannabis plants. In addition, this product only uses less electricity while at the same time staying cool and precluding overheating. It has 3 different kinds of control for seeding, vegetation, and blooming. This product also offers a very attractive design that looks very cool and elegant. It has a built-in fan for high efficiency heat dissipation. And lastly, I must say that this is the best chip on board led grow light based on my experience. If you are looking for a close to full-packed COB LED grow light, I offer you this though it’s quite heavy. I’ll be honest on this 800W COB LED grow light review – this product is most ideal for weed. It is best for their vegetative stage and flowering phase of your plants since it has an increased luminous efficiency and spectrum uniformity. In addition, you can utilize this product anywhere across the globe since it only requires AC of 85 up to 265V of power to operate. At a hanging height of 20 inches, this product has a PPFD of 1350oumol/m2/sec that is relatively good and higher compared to other brands. You must also know that it features good color ratio, heat dissipation, good stability and longevity. Looking for an affordable and versatile COB LED grow light with a very good power output? Well, try this product that offers a 800W power output. This product has full spectrum, in other words it copies the sunlight fully to aid your plants on their growth indoors. It comes with a very bright and large coverage area. In addition to that, it gives significant reduction upon your energy bills by conserving the power and it also gives very little heat generation. With its fans inside, it will make sure that the temperature around your grow room stays as cool as possible. And lastly, the aluminum within this product acts as a cooling aid and lessens the contact thermal resistance. If you are looking for a product that has been chosen as one of the best in the market, then this number 7 is what you are looking for! Those are my favorite Top 7 COB LED grow lights of all time. Here’s what I want to say. They are of utmost quality and I can testify that one of them if not all have what it takes to be classified as the best COB LED Grow light out there in the market, and also for YOU. With my years of experience and comparing various kinds of grow lights out there, I can conclude that this recent advancement in grow light technology is most likely the tool to get those tasteful and absolutely rewarding yields. So if you are also seeking that blissful experience, get a hold of my reviewed COB LED grow lights and purchase one of them. I assure you they are worth the risk! Have fun!